It's almost 2014, so it's time to look back on some of our most popular stories of the year 2013! Below, you'll find a list of links to our 10 most popular stories. Early in the year, the "Vieuxtemps” Guarneri del Gesu, which had been up for sale for some time (with a staggering price tag of $18 million) found a home, bought by an anonymous sponsor for lifetime use by Anne Akiko Meyers. In February, the world lost a great violin maker, Carl Fredrick Becker, who was mentor to so many luthiers, and whose work lives on in the instruments he made and restored. 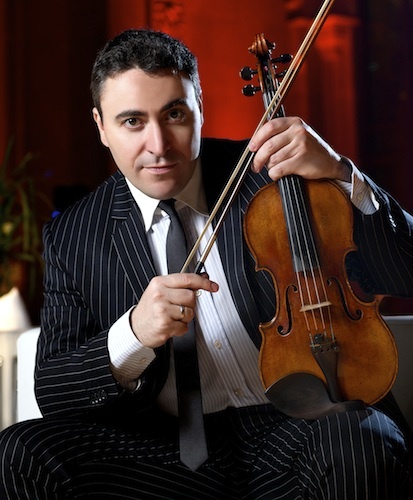 Maxim Vengerov also spoke to us at Violinist.com about his return to the violin, including his participation as a conductor in the 2013 Montreal International Musical Competition, which took place in May and which we were happy to attend. Spring also brought the Starling-DeLay Symposium on Violin Studies at Juilliard, which always brings together wonderful players and teachers for a week's worth of classes and masterclasses that provide years' worth of food for thought! One of the favorite stories of this year was from the Starling-DeLay master class with Itzhak Perlman. Other top stories took on the problems violinists and parents face so frequency, like how to balance practice and homework, or how to pick the proper-sized violin. This year has been one of great hardship for the Minnesota Orchestra, which was locked in a no-win downward spiral of non-cooperation, with much blame going to the bad intentions and practices of that orchestra's management. It led to one of our popular blogs, about reasons a person might NOT make a good board member. Yet we end the year with great hope for orchestras. In November, we spoke with Los Angeles Philharmonic CEO Deborah Borda, whose leadership and organizational success is an inspiring example for all. Back to School Tips for Parents: Practice vs. Homework?